Ring spun CORE cotton/polyester is a fiber with the durability of polyester and the comfort of cotton. Pocket with waterproof lining to keep you dry with a wet sponge in your pocket. Pre-bent at the knees for enhanced fit and comfort. 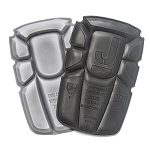 Kneepads can be fitted in two positions. Spacious holster pockets with extra compartments and reinforced insides. Holster pockets can be tucked into front pockets. Back pockets with reinforced insides. Extra belt loops in large trousers. Buttons in rubber to minimize ripping. Hammer loop. Double putty knife pocket with knife button. Leg pocket with flap over zip, ID-card pocket and phone pocket. 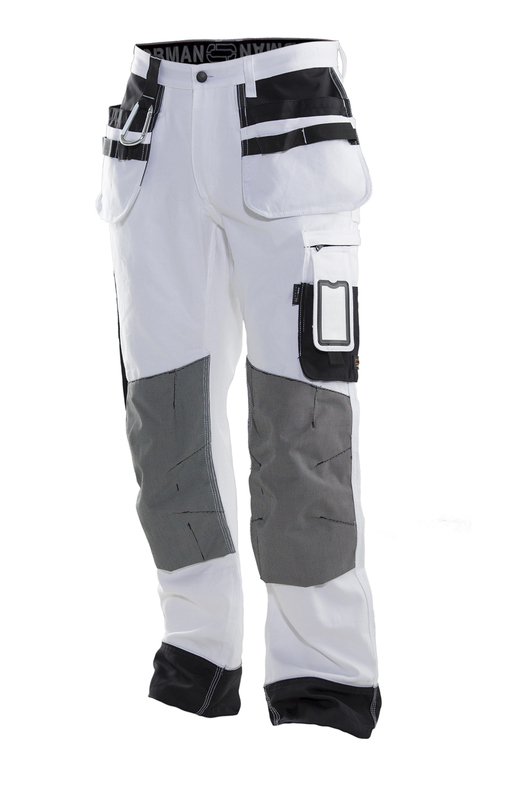 Pre-bent knees and durable Cordura® pockets for kneepads can be fitted in two positions. Reinforced at ankle with non-absorbing polyamide with reflective piping and drawstring. Material: 55% cotton/45% polyester CORE.